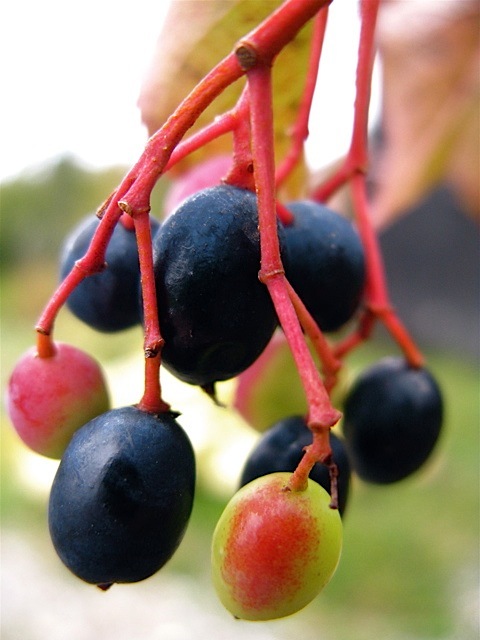 Nannyberry is a shrub or a small tree that grows up to 30ft. 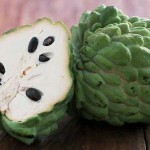 It produces small white flowers and small, juicy fruits. Nannyberry has some common names like Sheepberry and Sweet Viburnum. It is a self pollinating pant and is slightly deer resistant. 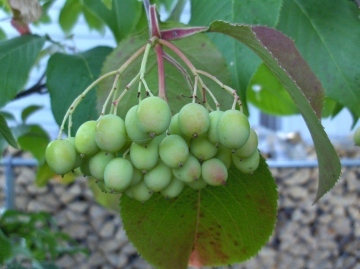 The scientific name of Nannyberry is Viburnum Lentago. 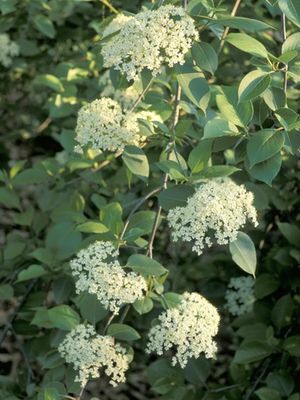 Viburnums are large shrubs trees with attractive foliage of flowers and fruit. Plant : Though this is a of species of shrubs but still it can grow up to 30 ft. The trunk is 10 inches in diameter which is short. The branches are flexible, pendulous and have round topped head. Color : The barks of the tree are reddish brown to grey in color and broken into small scales. The twigs are pale green in hue with a rusty down. It later turns dark reddish brown. Leaves : The leaves are arranged in opposite pairs on the twigs. They are oval in shape and grow 5-10 cm long and 2-5 cm broad. margin. The matured leaves are bright green in hue and marked with tiny black dots underneath. During autumn the leaves acquire a deep red or orange shade. Flowers : The flowers of nannyberry are creamy white clusters but are without fragrance. The flowers are 5-6 in diameter with about five whitish petals arranged in large round terminal cymes of sizes 5-12 cms in diameter. The flowers appear in late spring. 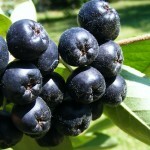 Fruit : The fruit of this beautiful tree is a small round dupe which is blue-black in color. The stem is 8-16 mm and has a reddish hue. 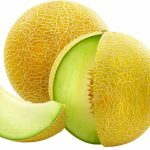 The fruit is thick skinned, sweet, juicy and oblong. The seed is oval and flat in nature. Roots : The roots are fibrous in nature. Smell : The fruit has a refreshingly sweet-sour smell. 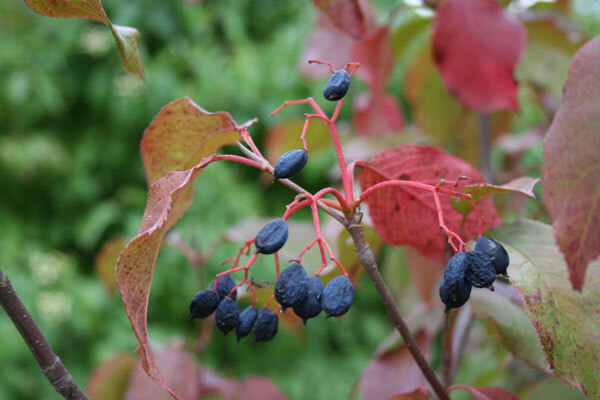 Also, apart from the above subspecies, the Viburnum lentago or Nannyberry has been hybridized with Viburnum prunifolium in the gardens to give out to another variety known as Viburnum x jackii. 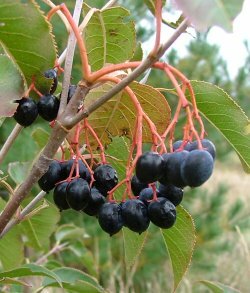 Nannyberry is a native plant species of Midwestern United States, Southern Canada, Dakota, Wyoming, Colorado and the Appalachian mountains of the far south in Kentucky and Virginia. This species grows best in rich, moist area with clay-loam soil. They inhabit the borders of the forests, in fence corners and along roadsides, near stream banks or swamp borders. They are found in the upland woods in the wild and tolerate both acid and alkaline soils. The Nannyberry grows best under full sun to part shady regions. It cannot grow in soggy soils. It requires 4 to 5 feet space in between to grow properly. Nannyberry needs a soil with PH of 5.0 to 7.5. A temperature of about 30˚C is perfect for growing this species of berries. The seed is best sown when the weather is mildly cold. Germination is slow and takes more than 18 months. They can be planted out in their permanent locations in late spring or early summer next year. In late winter you can prune them into shape. It can also be maintained as a small tree by trimming its stems and removing suckers at the base. Nannyberries are often used as herbal medicines. The leaves of this fruit and also the juice extract from the bark, seeds and berries are useful in treating respiratory diseases, digestive and menstrual problems. Also, they relieve pain and anxiety. The bark of the tree is antispasmodic which relaxes muscular spasms and cramps and also calms nervous irritation. An infusion of the leaves can be used to treat measles. If a poultice of the leaves is drunk it can heal dysuria. It is diuretic in nature which acts on the kidneys and promotes the flow of urine. The fruit, Nannyberry, is of great value and can be used for several purposes. 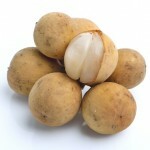 The fruits can be eaten raw, while juicy and sweet-sour. These berries can be dried and eaten later as a snacking item. It can be crushed into a smoothie or milk shake, like other berries. They can be made into jams. Medium to large shrubs of this plant can be used as windbreaks in farms. The trees can also be used as shrub borders, tall barriers and hedges. They can be used as Agro-forestry products-cut or dried flowers, fresh, dried and processed fruits. The bark can be used to make tea. Nannyberry is often eaten raw and sometimes crushed or sliced. When sugar is added to the pulp, the natural juices come out and the crushed berries then produce a sauce that can be had with cakes and ice-cream. Nannyberry extracts are used as an ingredient in pies, cakes, sorbets and other desserts. They are also used as appetizers and in cheese platters. The most well known Nannyberry recipe is the delicious Nannyberry pudding. One can also make pancakes with it. Here are some pictures of the fruit Nannyberry.